At Redman Garage Doors, we do more than just install and repair Ventura County garage doors! We make beautiful custom automatic driveway gates that give you and your family the safety and privacy you deserve. 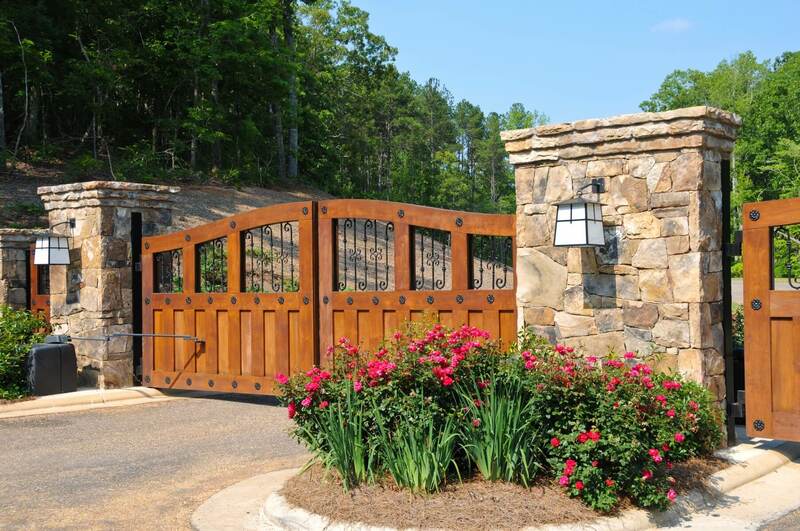 Our custom driveway gates are engineered to the strictest standards of beauty and functionality. Manufactured and tested in-house by our dedicated team of automatic gate experts, our custom driveway gates are built to withstand the elements and the test of time. Driveway Gates – Metal, Wood, or Combination? No matter what kind of driveway gate you’re looking for: ornamental wrought iron gates, a wooden driveway gate or something else entirely. We can design, build and install a custom automatic driveway gate to suit your needs. Each material has its’ advantages and disadvantages that should be weighed with the property owner. We have a wide variety of automatic gate openers to choose from. In case you lose or break your gate opener remote, we can find a replacement and get it working as soon as possible.Malfunctioning driveway gate? We have the automatic gate parts that you need to get your existing gate working like new again. We provide parts for swing gates and slide gates at a very reasonable price. No job is too small! Talk to us about building you a custom entry gate. Our custom entry gates keep unwanted visitors away, improve home security and provide an elegant finishing touch to your home.